Sageview Consulting offers a variety of HR service solutions for businesses of all sizes. Sageview’s human resources consulting expertise carries decades of in-house experience to our clients’ HR needs. Our veteran experts work with companies to help reach their strategic business goals while minimizing potential liabilities. No matter the size of the organization, Sageview Consulting offers expert HR practices that are tailored specifically to your business’s mission. We help clients navigate through training and professional development, employee relations, performance management programs, and career coaching to name a few. Sageview guides you every step of the way in handling daily HR responsibilities more efficiently, and raising employee performance for the company’s long-term success. From creating employee handbooks and onboarding programs to performance management programs, Sageview Consulting ensures that our client’s employees are properly introduced to the company and have the right resources for success. Our HR management solutions are proven to provide organizations with enhanced employee performance. Sageview Consulting’s HR advisory services are designed to develop solutions to ultimately improve a company’s strategic results. We have decades of experience in guiding our clients in their every HR need, and as an industry leader, we have the right tools put in place in order to effectively do so. We work with clients nationwide to build and maintain proper systems and professional training programs to create a productive environment. From large, established organizations to new startups, each of our programs are customized to drive successful outcomes. We understand how a business can execute and build upon success with our tailored consulting services. Our practical approach improves the employee experience and we strive to maintain a healthy work environment. Take a closer look at what exactly each service entails and how it can help your business flourish. Sageview Consulting offers a wide variety of training, organizational, and professional development services. Our seasoned professionals focus on tactical planning and organizational growth to develop suitable training programs for our clients. We work with organizations in any industry to create and promote an exclusive company culture with the end goal of producing efficiency and productivity. Our training programs are designed to benefit the company, as well as the employee’s future success. We offer various workshops on respect in the workplace and team building, to name a few. Establishing a level of respect between employees to top executives, and everyone in-between. Sageview can help businesses of any size influence a culture of respect and civility within the workplace. Our team can help your top executives and teams establish a respectful working environment through guidance and training exercises. Inappropriate behavior in the workplace is no longer ignored. With HR solutions from Sageview Consulting, leaders can implement sexual harassment awareness and prevention policies that will establish clear-cut guidelines and open lines of communication, ensuring that each employee knows how to respond in the event of an unwelcomed advance. Sageview Consulting helps all levels of employees strive for utmost excellence in their behavior and work conduct. Business leaders that make professionalism a priority promotes a positive, efficient, and productive work environment. 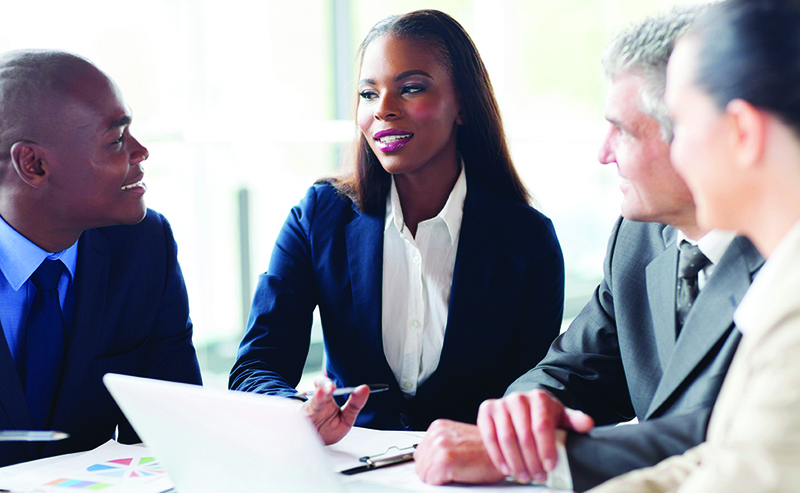 Increase the level of professionalism you display with executive coaching from our experts. More employers are recognizing diversity’s ability to promote growth in a company. 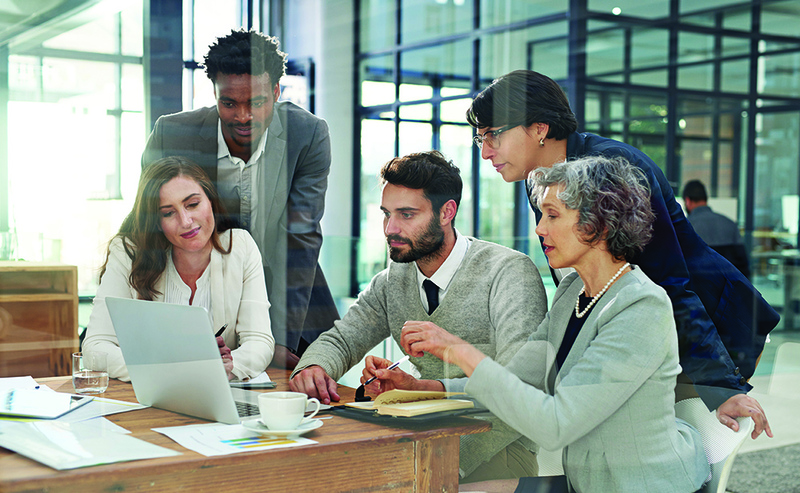 By implementing workplace diversity strategies, HR managers and top executives can help their employees to become aware of stereotypes, develop a sense of understanding, and facilitate collaboration at all levels. The expert consultants at Sageview Consulting offer one-on-one mentoring to help individuals improve job performance and formulate personal strategies for success. We work with current and rising executives to build the strongest possible leaders for your company. By implementing skills around problem solving, facilitating development, responding to business-related concerns, and managing others, strong leaders can bring unlimited potential to their company. Sageview offers expert advice on managing for productivity in the workplace. Our HR Solutions implement concepts such as training all levels within an organization, providing consistent feedback, identifying disengaged employees, and boosting productivity levels across the board. Sageview Consulting strongly believes that every company should make time to develop their leaders. Strong management and leadership in a company increase motivation among employees, invites them to overcome obstacles, increases problem-solving skills, establishes a level of trust, and can create a positive work environment for everyone. Conflicts in the workplace usually escalate if not handled properly. Having the knowledge and skill set to easily mitigate office issues and reach conflict resolution is one of the keys to a successful company and work environment. Sageview Consulting gives you the tools to integrate successful, conflict resolution skills at all levels of your company. Recruiting the best possible candidates for your workforce is an incredibly important ability of HR managers and company executives. Sageview provides a structured approach for interview preparation, effective interviewing skills, and selection of the right candidates for the job, so you can take your company to the next level with top talent. Employees should understand how to prioritize tasks, deal with distractions, and improve concentration in the workplace. 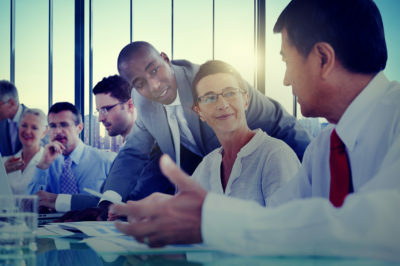 Sageview Consulting can provide the techniques for HR leaders and company executives to budget their time wisely and effectively, as well as teach team leaders to instruct their subordinates on effective time management techniques. Performance management promotes and improves employee effectiveness. Our team of HR experts can work with your company to establish guidelines for monitoring, reviewing, and evaluating employee objectives and overall contributions to your organization. The accomplished leaders at Sageview can share their expertise, wisdom, and experience in training executives with top leadership skills to produce high morale, employee retention, and long-term business success. 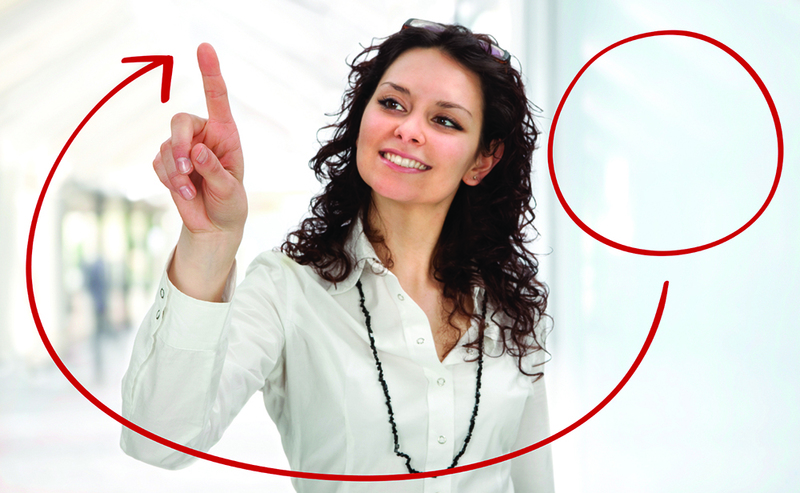 Develop a productive and loyal employee base with talent management training. Our experts help you implement skills for effective acquisition, training, and retention of the highest quality employees, so your company can focus on productivity and success. Effectively manage your most talented workers today, with help from our team. We believe company leaders should take an active role in developing and growing their employees. With team building solutions from Sageview Consulting, your company will learn organized job placement, how to boost employee motivation, group decision making, and increased levels of team communication. Your business’s transformation is only as strong as its weakest link. As a HR manager or company leader, you should know how to help your employees interpret and apply new principles and procedures for a successful outcome. Learn how to effectively manage change in your workspace environment, change for different departmental teams, and more. Sageview Consulting offers nation-wide executive coaching that will help your leaders maximize their potential. “Leaders who do undertake a voyage of personal understanding and development can transform not only their own capabilities but also those of their companies.” ― Harvard Business School Press. Sageview Consulting understands that change is the only constant in the world of business. However, change and growth within a company become exponentially more difficult when key leaders display indifference, skepticism, hostility, lack of vision, or disregard for communication. A strong leadership lays the foundation of which a business builds upon, and can make or break any company. Therefore, leadership potential should be addressed and developed to achieve company goals, efficiency, and profitability. Employees expect a lot from leaders, as quality leadership can be felt throughout the entire organization. In the same regard, bad leadership is also felt company-wide. Not all leaders are created equal. A recent study conducted by the Stanford Business School found almost two thirds of CEO’s don’t receive executive coaching or leadership development training, however nearly 100 percent said they would appreciate and utilize professional guidance. Leadership challenges faced by businesses today requires a certain level of expertise that can only be provided by those with experience in the technical, psychological, and relational aspects of the position. The team at Sageview Consulting consists of accomplished leaders that can share their wisdom and experience in training executives on top leadership skills. Sageview Consulting offers executive coaching services nation wide. 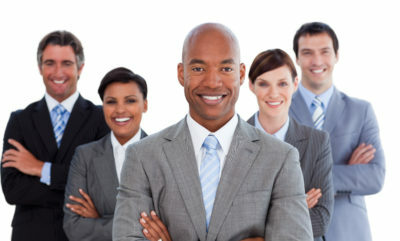 Our team of experienced and highly skilled experts work to build strong leaders for your company that not only possess the following characteristics, but also help to disseminate them amongst the entirety of the staff: Communication, curiosity, creativity, intuition, integrity, inspiration, confidence, honesty, delegation, trustworthiness, adaptability, and a positive personal approach. The result of good leadership is high morale, good employee retention, and sustainable long-term success. Sageview Consulting understands the problems that most CEOs and key executives in America face, which is why our executive coaching services offer new ideas and fresh perspectives at resolving these problems to increase company profit and maintain a positive working environment for all. There’s a huge difference between a boss and a leader: A boss drives employees, depends on authority, inspires fear, places blame when issues arise, commands, and takes credit. A leader coaches their team, depends on goodwill, generates enthusiasm, fixes the issue, develops people, shares the credit, and asks for assistance rather than commanding. “A true leader has the confidence to stand alone, the courage to make tough decisions, and the compassion to listen to the needs of others. He does not set out to be a leader, but becomes one by the equality of his actions and the integrity of his intent.” —Douglas MacArthur. If led by a strong, quality leader, any company can enjoy unlimited potential. For valuable professional insight on developing and maintaining the lop leadership skills in the country, contact Sageview Consulting today. Sageview Consulting provides outsourced HR services for businesses of all sizes. Sageview Consulting offers premium outsourced HR management solutions to help guide the success of your business and your employees. We specialize in the strategy and design of compensation and performance management programs that effectively promote productivity and employee efficiency in the workplace. We provide a wide-range of services that take care of your every HR need so you can focus on the core of your business. The customized programs are implemented to assist in your company’s vision and goals for growth. We help clients confidently navigate all human resources management by providing the following, outsources HR services that save your company time and money. Proper company policies are put in place to communicate with employees the effective information needed to keep everyone on the same page. Sageview Consulting helps your employees fully understand each policy to ensure long-term success. Tactical onboarding programs for all new hires are key to retainment and employee productivity. We also assist in the creation of company policies that your company wishes to enforce. Sageview Consulting understands every employment law that affects your business and we make sure proper measures are taken to maintain compliance. Our HR management solutions tackle the complexity of state and federal regulations and provide your company with the current information needed to stay on the right side of the law. We carefully design compensation programs that are unique to each employee and are based off the role’s requirements. We work with your company to strategically implement compensation plans that combine market matching with an employee’s obligation for success. Sageview Consulting understands that competitive compensation programs are important to any business. Annual employee performance reviews are a key component to the growth and development of an employee and your company as well. Sageview creates performance management systems with the goal of identifying and improving employee effectiveness. We understand that it’s important to assess your employees through a fair and professional strategy so your company can grow and stay productive. Your employees are your biggest asset and are crucial to your success. When two organizations attempt to integrate into one, there are key issues that must be managed for a successful and smooth outcome. Sageview designs strategies that focus on the compatibility of cultures, integration of management styles, and strength of communication efforts. We look to build motivation and trust amongst employees to help develop and foster the new environment. We provide a new company with the creation of innovative policies as well as assist in the retention of key employees. Sageview understands that a merger or acquisition can come with mixed feelings such as fear, enthusiasm, or resistance. However, we ensure that the transition runs as seamlessly as possible for all parties involved. All of Sageview Consulting’s outsourced HR services are carefully crafted to help any business succeed and reach their goals. We work with your business throughout the whole process in strategically creating tailored programs for the growth of your employees, acting as your remote HR team rather than having to staff one in-house. All employees within an organization have a need to know where they stand and how they’re doing compared to the company’s expectations of them. Therefore, annual performance reviews are a key component of employee development. Performance management is a process in which HR managers and company leaders work together to plan, monitor, and review an employee’s overall performance. It considers things like work objectives, productivity, and overall contribution to the company’s mission. There are many benefits to conducting performance reviews and performance management, but this does not mean that it’s a one-size- fits-all strategy. Poorly implemented performance management will cost your company big time. Poor performance management can result in employee turnover, disengagement, low employee morale, wasted resources, low job satisfaction, increased legal risks, and biased management. Sageview Consulting offers performance management training for HR leaders and company executives to set a working strategy in place that benefits everyone within your company. The goal of a performance management system with Sageview Consulting is to identify, promote, and improve employee effectiveness overall. Our expert consultants work to identify your organization’s mission, culture, and values, then we design a fair and balanced strategy to assess your employees regularly. We then guide company leaders and HR management for a smooth implementation of a new performance review strategy that your team can build upon. What’s involved in Sageview’s performance management strategy? Helps control legal risks by continuously tracking and reviewing employee’s performance, termination can be justified. Performance management reviews help employees to feel like their work is being acknowledged and valued. Additionally, HR managers and company leaders can use data from their performance management to strategically set company goals for the coming year. This can help boost morale and keep employees engaged daily. Performance management programs with Sageview Consulting gives your employees the proper guidance, oversight, and reviews to help them understand what is expected of them. We specialize in helping those in hospitality, sports, entertainment, healthcare, non-profits, real estate, PR, disaster relief, and construction to design and implement the most effective strategies for business success. Contact our consultants today to learn more about our programs tailored to your industry. Sageview Consulting provides businesses with customized HR audits and reviews for your employees. As a qualified third party, Sageview Consulting ensures a company’s practices are compliant and follows proper procedures. Our expert HR team can protect your business by reviewing and auditing your policies that are already in place. We use established and customized practices to identify needs and suggest the best solutions to improve your company’s efficiency. Our HR audits review hiring and evaluation practices, onboarding and training programs, and state and federal law compliance. Sageview is committed to improving organizational culture while maintaining compliance for your business. Our programs include a comprehensive review of current human resource practices, procedures, and strategies. This audit will locate opportunities for improvement and suggested solutions for your company’s success. We will establish best practices that ensure compliance with the always changing rules and regulations. Sageview Consulting utilizes HR audits to assist with the continual improvement of the systems in place for your employees. The review of services rendered to an organization’s employees affects job satisfaction, morale, and company culture, all of which are important to the success of any company. An HR audit also guarantees that your HR department meets the needs of employees while maintaining service level standards. Our consulting services conduct effective HR audits by following a strategic and detailed system. We monitor employee record keeping systems for compliance with state and federal regulations. Our team researches state rules on employee access to personnel files and confirms that your company’s policies are consistent with state law. Title VII of the Civil Rights Act of 1964 rejects employers from engaging in discriminatory practices related to hiring and all employment activities. Sageview suggests that your employment advertisements, interview questions, and pre-employment tests are as unbiased as possible to avoid penalty. Sageview Consulting has a team of seasoned experts ready to perform a structured HR audit and review for your company. We are here to capitalize on your strengths and present opportunities for improvement that meets the compliance laws. Sageview Consulting offers employee relations services for businesses of all sizes. Our experienced team of HR professionals can help prevent and resolve issues that arise between employers and employees in the workplace. Problems can be avoided by designing and implementing programs, communications systems, handbooks and policies. However, we recognize that problems do occur sometimes, and in that case, Sageview Consulting can help ensure that your company is protected and stays on the right side of the law. We also help to create systems to improve employee performance and efficiency while maintaining company morale. Let us help you strengthen your employee relations for the overall success of your company. Strong employee relations are crucial for increasing productivity, collaboration, and teamwork within your organization. Sageview Consulting provides many HR services to help resolve employee conflicts while increasing company morale. By improving communication, challenging your employees, and distributing the long-term company’s goals, you can effectively increase your employee relations and productivity at the same time. Implementing regular company meetings to communicate important information to your employees will make everyone feel that they are involved in the success of a business. Your talented employees are the glue that holds your company together, so it’s important to be as open as possible with what is going on and how each person can contribute new ideas and tactics. Meetings with the whole team will allow for effective collaboration and teamwork building. This also strengthens personal relationships that relate to strong employee relations. Sageview Consulting consistently works with companies to improve communication with their staff on a daily basis. When employees find themselves performing the same tasks every day, it can be difficult to stay motivated. A company can find unique ways to challenge their employees and make their work feel rewarded. We help organizations implement incentives for employees to stay productive and work hard. Setting goals for each team and providing rewards such as paid time off will allow employees to stay motivated while also contributing to the company’s overall goals and growth. A company will benefit tremendously from keeping their employees pleased and inspired. Great work and strong relations will result from incentive programs. When certain employee disputes occur, proper procedures need to be put in place to effectively resolve the issue. Sageview Consulting offers conflict management solutions that fix problems while maintaining ideal working relationships. We understand that conflicts do occur in the workplace and the proper management solution helps keep businesses running smoothly right away. We help assist companies in documenting issues and provide them with the right and effective resolutions. This will help employers deal with similar situations in the future. Strong employee relations are crucial to the success of any business and Sageview Consulting understands how to implement the right employee programs to guide this effort. Effective communication systems for all employees are the basis for a great and healthy relationship. Let Sageview handle strengthening your employee relations so we can assist in overall increased employee performance and productivity for your business. Sageview Consulting offers effective job description solutions for businesses. Sageview Consulting provides premium outsourced HR management solutions for businesses of all sizes. We offer customized job description services to assist in successful staffing strategies. In order to recruit the best potential employees, an organization needs to create effective job descriptions and distribute them to relevant outlets. We will ensure maximum exposure in the recruiting process, as well as design tailored job descriptions. At Sageview Consulting, we understand that your business may not have the time to accomplish this task, so we provide all of the resources to help your company successfully employ the right candidates. The foundation of an effective recruitment process requires suitable and well- written job descriptions. Our HR consultants provide a comprehensive service that helps your business distinguish role requirements and design job descriptions that describe the right skills for the specific role. An in-depth and clear job description helps an employer identify what’s missing within the company and the type of candidate that can perform that role. What’s included in a job description? and the overall nature of the job. achieved and what is expected from the employee. performed and the procedures and methods behind it. 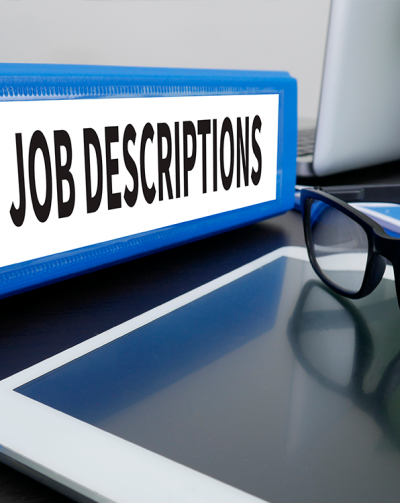 Effective job descriptions give a clear understanding of the exact responsibilities and duties that are expected from a potential employee. You want to be as transparent as possible when communicating what you need performed for the job. Sageview Consulting offers staffing solutions that include the development and implementation of job descriptions for your organization. We work with you during the job analysis process to create a strategy behind each job description. When creating a job description, you need to leave no question unanswered in terms of what the job requires. A strong depiction of what is being done and why it is being done should be included. It’s important to think about how you want the tasks and duties to be performed when designing a description. Clear and to the point role requirements will ensure that potential employees fully grasp the extent of a job and the responsibilities that come along with it. Focus on creating a flexible job description that encourages employees to grow within their position and to contribute their best to the company. When it comes time for employee performance reviews, the proper job description will provide the essential information for an employer to measure how well an employee matches up with the standards of a job. Job descriptions are also used in the structure of salaries and the classification of positions within a company. Well-written job explanations will ensure that applicants and future employees understand what they need to do to be held accountable. Sageview Consulting guides businesses during the entire process of designing and executing the perfect job description for all positions ready to fill. Sageview Consulting offers policy, employee handbook, and onboarding program services for any business. Sageview Consulting provides HR management solutions that include company policies, employee handbooks and onboarding programs that effectively prepare the members of your team for long-term success. According to Click Boarding, 69% of employees are more likely to stay with a company for three years if they experienced a great onboarding program. 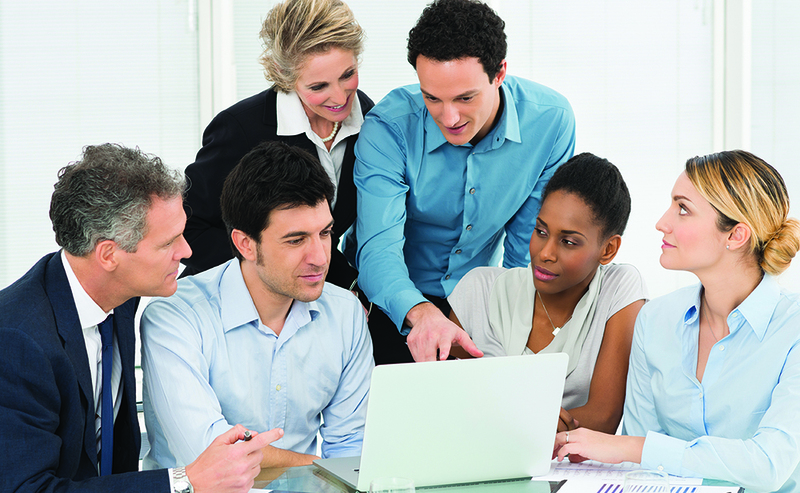 Proper programs for new employees are key to retaining and engaging talent. They are also a great way for employees to get acquainted with an organization’s culture. Sageview can design a strategic plan of action to help your new hires quickly assimilate with company policies and procedures. Effective company policies exist to inform employees and keep everyone on the same page. The rules make sure every member is compliant so that the organization can run smoothly. Sageview helps your employees understand the policies and how to navigate through each guideline. If you have a strong grasp on the rules and regulations, you can ensure a productive workplace. The policies your company puts into place need to be thoroughly understood by every member of the organization. Sageview Consulting uses a completely transparent system for each employee to get started. Sageview Consulting understands that the best employees are the ones who have a strong grasp of their role, the company’s expectations, and the mission and values of an organization. All of these topics and much more should go into the employee handbook. An employee handbook is a very important tool to communicate and establish a strong relationship between the employee and employer. This handbook encompasses company expectations to avoid misunderstandings and potential conflicts. Ultimately, Sageview Consulting creates strategic handbooks that establish an organized workplace and increase company loyalty. The process of onboarding new hires is a critical component to ensure productivity and retention amongst employees. It is the last step of the recruitment process and it includes integrating employees in their new work environment to ensure success for all parties. Mistaking orientation with an onboarding program is a common misconception, however it is the introductory stage for all employees. Sageview implements onboarding programs that entail strategic focus and goals while integrating multiple teams within your company. We develop systems that increase employee job satisfaction levels, foster employee engagement and commitment, and create productivity in the workplace. A Gallup study revealed correlation between engaged employees and a company’s profitability. Sageview Consulting provides an effective onboarding process that is proven to boost employee engagement as well as create a close relationship between new hires and management. We want your employees to experience a smooth transition when joining your company and our expert HR services provide the best programs for success. We focus on building loyalty within your company so that engagement and commitment issues very rarely arise. 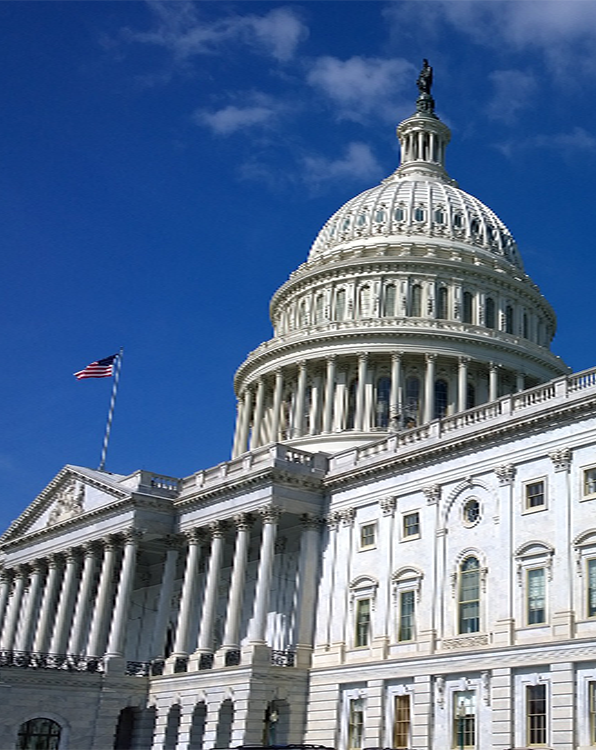 Sageview Consulting helps businesses ensure compliance with all federal and state laws. Sageview Consulting provides expert outsourced management solutions to make sure your business is complying with all federal and state employment laws. We work to protect your company and provide you with the most up-to-date knowledge of all laws in place. It is our duty to constantly be aware of the compliance issues and how they affect your business. We believe that knowledge and information are vital when it comes to ensuring compliance, and we are here to guide you down the right path. ♦ Wage and Hour– It’s so important to make sure that employees are getting paid for the correct number of hours they work at minimum wage or above. This also includes overtime. A company is at risk for major penalties if they do not comply with these standards. ♦ Non-discrimination Laws– There are laws in place that ban discrimination in the workplace. All organizations must actively practice the correct procedures under all non-discrimination laws. ♦ Worker’s Compensation Laws– These laws differ depending on what state you are in and it’s important to understand how your company can be held liable for an employee who may be injred on the job. ♦ Workplace Safety– Failing to meet safety rules in the workplace expose your company to lawsuits that only offer headaches. Detrimental fines come from the Occupational Safety and Health Administration by not complying with proper safety procedures. Our HR professionals provide strategic administrative support for all companies struggling to stay up to date with employment laws. We guide and make sure all your efforts are in government compliance for the safety and protection of your company. According to ADP Research Institute, more than 90% of companies, regardless of size, seek outside advice on compliance issues. The constantly changing rules and regulations can be hard to follow for any company and we want to take that burden off for you. serious consequences. This can alter your business’s legal status, making it more prone to heavy lawsuits that don’t end well. Government agencies also step in to complete audits and issue fines. In serious situations, the government can dissolve your business entirely by not complying with the rules and regulations. Sageview Consulting is here to take away this stress and ensure that your company never has to face the consequences. All state and federal compliance laws will be handled properly by our HR experts.